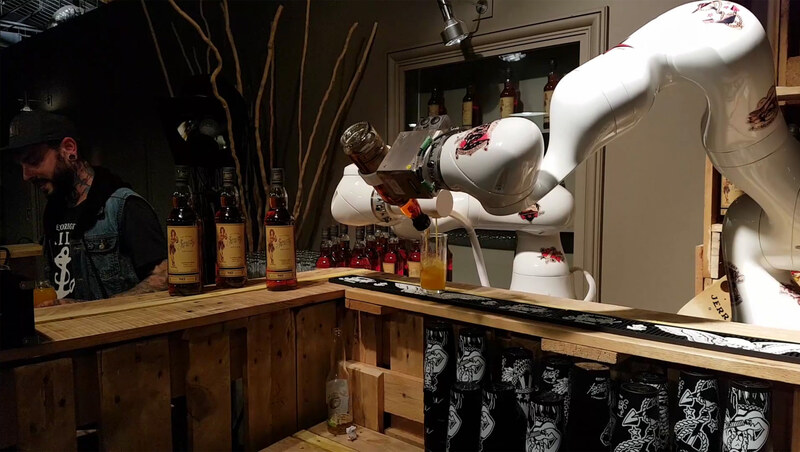 THE FIRST COLLABORATIVE ROBOTIC BAR. 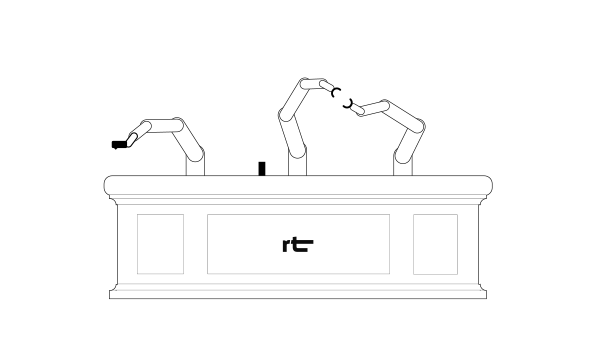 THE ROBOT BAR IS A COLLABORATIVE AND FLEXIBLE BAR’S CONCEPT. 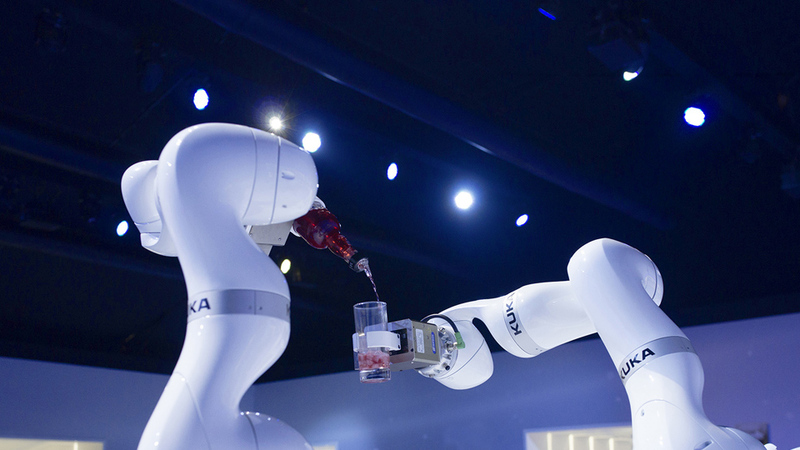 A NEW GENERATION OF ROBOTIC ARMS THAT COLLABORATES WITH EACH OTHER AND/OR WITH A BARMAN TO PREPARE AN ORDER. 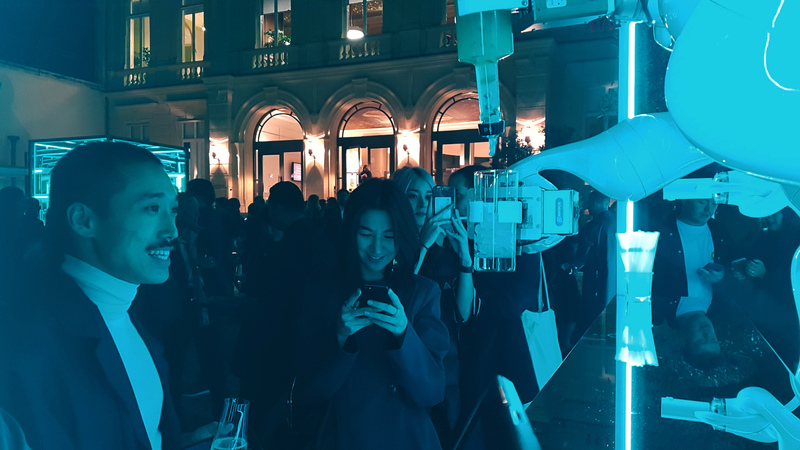 THEY INTEGRATE WITH THE EXISTING ENVIRONMENT AND DELIVER THE GLASSES DIRECTLY TO THE CONSUMERS WITHOUT ANY BARRIER.